About: The Little HAPIE Tree Preschool is housed in the Auburn Early Education Center on East University Drive. This program uses a peer model to provide appropriate developmental and educational experiences for children 3-5. Volunteers will be expected Happy Monday everyone! to help encourage social interactions among peers, engage in educational play using toys and centers in the classroom, help students stay focused and on task, and aid in instilling developmentally appropriate behaviors by using the procedures outlined in the volunteer handbook. This opportunity is great for people looking to gain experience to further their educational or career path in psychology, education and special education, or any helping profession, such as counseling or nursing. Volunteers will need to bring their driver’s license on their first day. With finals only a few weeks away, Honors students are offering free group tutoring for physics and organic chemistry. The Honors College needs your help in creating a new student-driven publication. We are looking for creative students who are idea makers and are interested in editing, writing, photography, illustration, web layout, and graphic design. The function of this publication is twofold A). to share the wonderful stories about Honors College students and B). give participating students the opportunity to express their creativity and receive hands-on experience. This will be an excellent resume and portfolio builder. Obtain your first byline, have your artwork go public, and enhance your writing skills through this opportunity. Planning workshops will begin next semester. Interested? Contact the Honors College Communication Department athccomm1@auburn.edu to get your name on the list. From March 10 to March 13, 2019, Honors College Students will have the opportunity to work alongside the United Saints Recovery Project in New Orleans, Louisiana, which was started after Hurricane Katrina hit Central City, New Orleans. This is a grassroots, volunteer organization that assists homeowners whose homes suffered damage due to natural disasters. Students will be placed on a work site doing things from installing cabinets to painting. There is no cost for Honors students to attend this trip, but space is limited. If you are interested in this Honors College ASB, please contact Ms. Hunter or Dr. Thomas. The students will be presenting the pieces during a final presentation on November 29 at 6 pm, all are encouraged to attend. Polaris is offering a 12-week paid internship opportunities at various Polaris offices across the country. Internships are being offered in engineering, human resources, information systems, operations, finance, sales, and marketing. If you are interested in learning more about this opportunity, read more here. The Woodrow Wilson Teaching Fellowship is a pioneering program that prepares aspiring math and science teachers for the schools that need them most. Fellows receive generous financial support to complete a master's degree program in education that includes an intensive clinical placement in a local high-needs school. 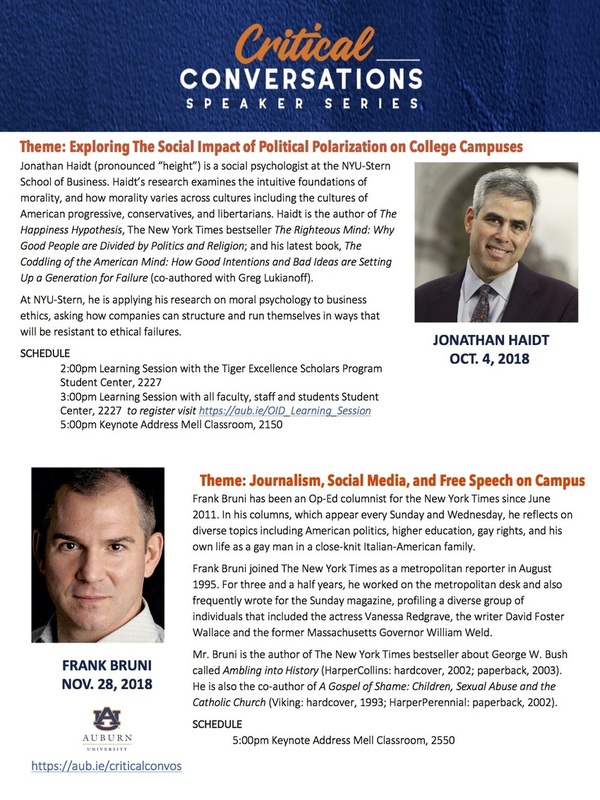 If you are interested in the Woodrow Wilson Fellowship, read more here. The HudsonAlpha BioTrain Internship Program offers students the opportunity to connect classwork with real-world job experience and gain skills and knowledge that will prepare them for careers in biotechnology and related fields. Internships are offered through HudsonAlpha's nonprofit research labs, educational, economic development and communications departments, and many of their associate companies. If you are interested in this opportunity, read more here. Finals can be tough and you deserve a break! 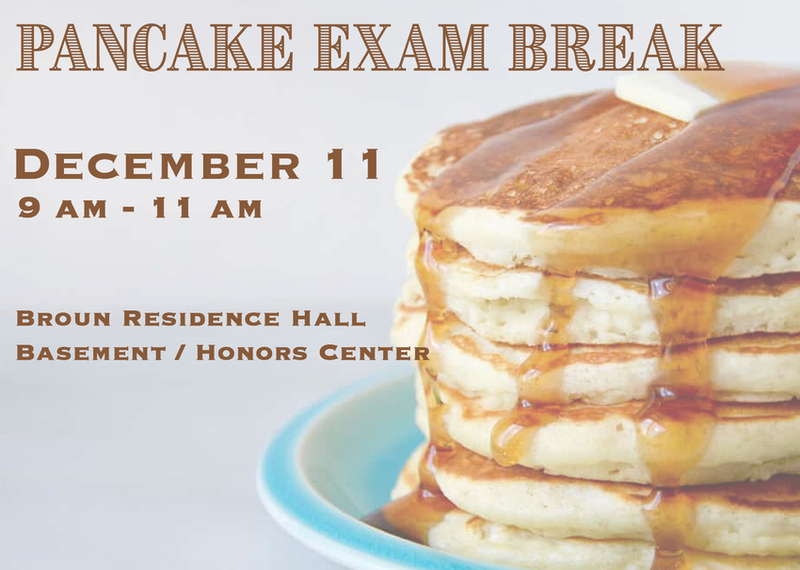 Stop by the Honors Center in Broun Residence Hall on December 11 for our annual pancake exam break. Honors staff will be on hand cooking a variety of your favorite pancakes from 9-11 am. Stop by the Honors Center in Broun whenever you'd like for a well deserved mental break.